Putting a trendy twist on traditional Japanese clothing and accessories, Sou-Sou is a great place to buy gifts and souvenirs (think furoshiki wrapping cloths, hand towels and split-toe trainers based on tabi footwear). 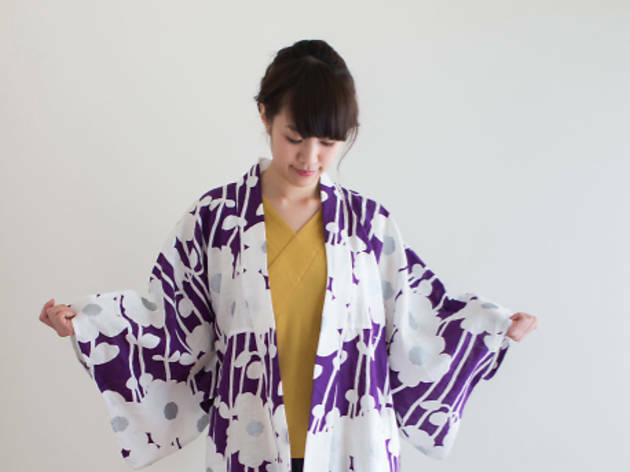 Their yukata and kimono collection is splendid, combining rich textiles, eye-catching patterns and versatile styles you can wear on a daily basis. They have a branch in San Francisco too!